Four women, four voices, four manipulative beings facing the public. Above them, four video screens. The women’s voices bring life to phonemes, ancestors to human speech, that slowly come together to become snippets of conversation. At the same time, they project images on the screens above them, images of objects that have always been a part of mankind. A little further away, a man sits facing a computer. 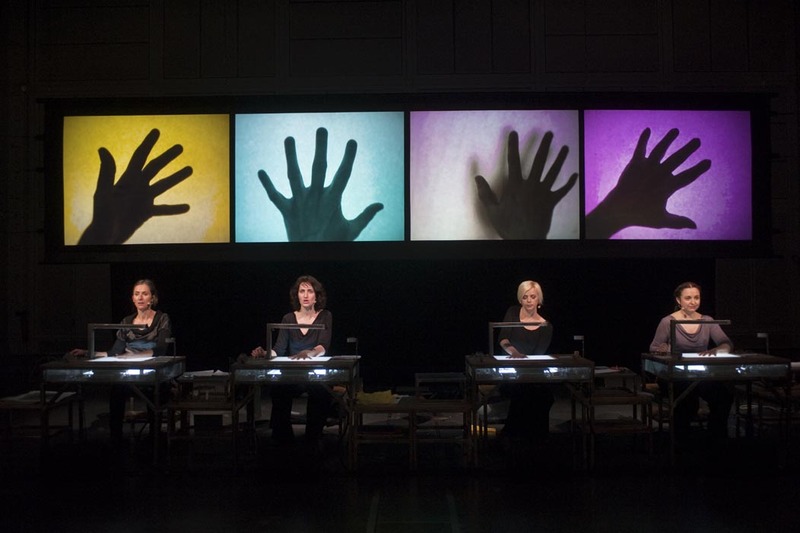 He watches the four women, traffics their voices, phrasing, and invades their screens with graphical elements from his computer program. The phonemes and sound objects change, creating a musical conversation. Machinations, first performed in 2000, is ‘pure’ Aperghis and is the liveliest and most moving piece he has ever written. Music, text, video and performers enter into an alchemical combination.